Five major film distribution companies in Nigeria. Let’s start by knowing what Film Distribution means. 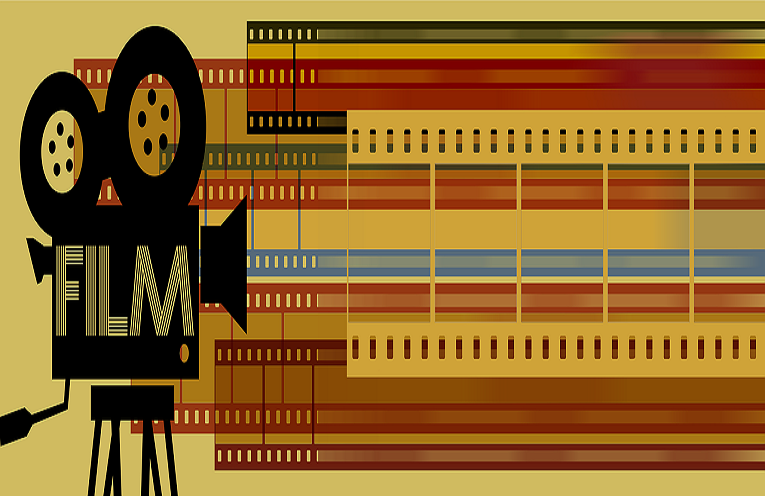 Film distribution is the process of making a movie available for viewing by an audience. This is normally the task of a professional film distributor, who would determine the marketing strategy for the film, the media by which a film is to be exhibited or made available for viewing, and who may set the release date and other matters. It has been said that making a movie is not nearly as difficult as getting it distributed. Because of the enormous amount of cost in money and time involved in distributing a movie, a distributor must feel confident that they can make a sufficient return on their investment. In order to ensure high revenue on a feature film, film promotion is very crucial to film distribution. In order words, there is no successful film distribution without film promotion. Before a film distributor gets interested in a movie there are certain elements the look out for. The quality of the film, target audience, reputation of the director, stars in the film and other elements. Theatrical/Cinema release falls under the traditional model of film exploitation(when consumer actually experience the film),the first window for the film, so its is the first opportunity to see how audiences actually respond to the film. As a result of this, it is generally a film’s performance in this first window (Theater/Cinema) that determines its value in other windows (DVD, Pay TV, VOD). In Nigeria, a film maker who is looking at releasing his/her movies via the cinema, engages a film distributor for the sole purpose of distributing the film. A film distributed must be licensed and approved by the National Film and Video Censors Board (NFVCB) before it can commence operation. Over 70 Nollywood movies have been distributed across cinemas nationwide in 2017. The following are the Major companies that handle film distribution across cinemas in Nigeria. FilmOne is one of the foremost independent distributor of films in Nigeria. Based in Lagos, Nigeria, FilmOne distributes a wide-range of mainstream, commercial pictures including international and indigenous titles. The company has distributed some of the highest grossing movies such as, The Wedding Party, A Trip to Jamaica, 10 Days in Sun City, Fifty, Okafor’s Law, ’76 and a host of others. In recent years, FilmOne has also gone into film production and collaboration with artistes, some of whose films have made ‘’impressive’’ box office sales. In 2015, the company signed an agreement with 20th Century Fox, the world’s largest producers and distributors of motion pictures. This agreement was to release such titles as Independence Day: Resurgence, Ice Age: Collision Course, as well as The Birth of a Nation from the Studio’s Fox Searchlight Pictures division and Dreamworks Animation’s Trolls. FimOne has distributed over 20 Nollywood movies in 2017. Founded in 2006, Blue Pictures Film Distribution in partnership with Crimson Multimedia Nairobi (Top Notch Distribution Company based in Kenya) has been responsible for distributing many blockbuster Nollywood and Hollywood movies such as-Avatar, X-MEN, The Return of Jenifa, Mirror Boy, Roti, Lotanna, etc. Blue pictures also acts as Sub distribution Consultant to the major studios like Walt Disney and Warner Bros. They have distributed about 8 Nollywood movies in 2017. Silverbird Film Distribution is an independent Film Distributor of theatrical and non-theatrical films.Established in July 2007. One of the major edge this company has over the other distributors is the ability to publicise movies through their numerous media outlets such as-Silverbird Televesion, Rhythm FM radio station and the largest West African cinema chain, the Silverbird Cinemas with 69 screens. In 2017, the company has distributed movies such as – Isoken, The Guest, Mr and Mrs 2, Unveil, Omugwo, and Dance to my Beat. Geneis Deluxe cinemas also has a film distribution arm which distributes a few Hollywood and Nollywood movies. Over the years they have also distributed a number of Nollywood and Hollywood blockbuster movies. In 2017, it has distributed the following Nollywood movies- Sunday & Lolade, Desecration, Slow Country, Stormy Hearts, Hakkunde, Mentally, and What Lies Within. Metro Classic is a licensed distributor of feature theatrical films and they are located in Lagos, Nigeria. They also distribute top African feature films to cinemas in Anglophone countries and also acquire multiple rights across renowned independent studios as well as collaborate with distribution companies. In 2017, Metro Classic has distributed Nollywood movies such as – A star in Heaven, Spouses Secrets, Sand Castle, Return of the Don, Dognapped and Bridge of No Return. about your movie it always teaches you lesson after watching them, it’s rich with wisdom.I’m a stay at home mom that literally watch them back to back. I watch all kinds but some of my favorites are traditional and village movies. I’ve been watching since (2006) and never turned back. How do I go about getting permission to start promoting your movies on my channel, more people NEED to see this awesome creation of GREATNESS. How do I get to reach you? I want to set up a cinema in my area.. I have done visibilities studies for over 3years now.. And I discovered it will be nice and profitable bringing an annex of any of the above listed Cinema company to my area.. Please I need a full details on the steps to take in accomplishing this great idea of mine. i need movies for online marketing do you have contacts i can use. Hi Sam, I run a film promotion agency and I have a background in filmmaking, I’m also currently in Port Harcourt. I’d be happy to meet up with you to discuss your cinema business and profitable collaborations. Reach me via email if you’re interested or leave your email and I’ll contact you. I just completed a true life documentary story/film about someone’s encounter with witchcraft. It’s more like an horror movie. I am looking for an investor/distributor to market it on CD. Contact me if you have an idea. 07083292544. I am a member of a premium movie producing company. We have amazing contents up for graps. I have done visibilities studies for over 2years now. And I discovered it will be nice and profitable bringing an annex of any of the above listed Cinema company to my area..
Dream Factory had is world premiere of Ali’s Comeback at the Pan African Film Festival on February 8th and 9th of this year. This is quite informative. I am working on streaming videos online. We are currently getting ready to do that. We want to know how much it cost to get license to begin streaming videos for the public. Please I want to setup a cinema in my university and the only thing left now is how to get Lastest Hollywood and Nollywood movies to show to our audience.